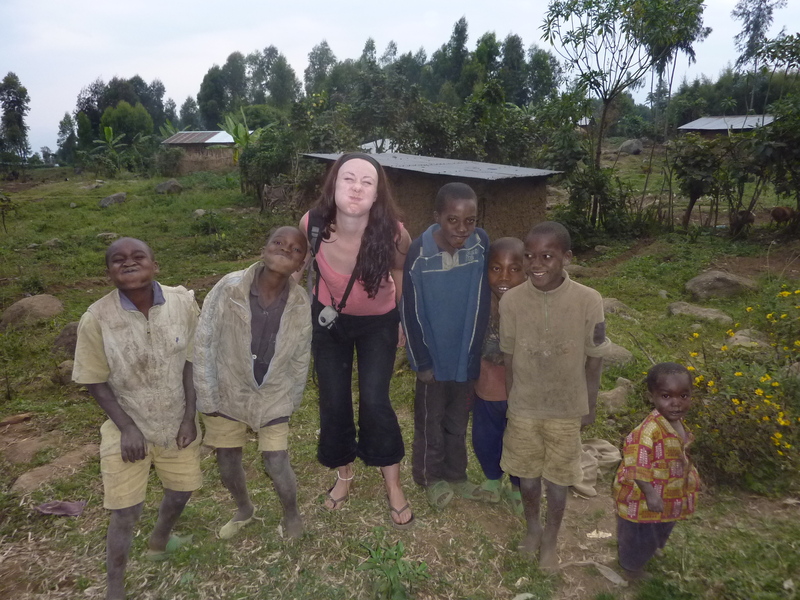 When I decided to travel to Africa, visiting an African tribe was one of the things I really wanted to do. Ever since I can remember, I’ve always been interested in how people live, social dynamics, traditional customs and folklore – even before I really knew what any of those things really were. People have always fascinated me. I’d seen tribal peoples in pictures and on tv, and depicted in African masks and art that I’d seen in various museums. But to meet them in real life was a dream. But I didn’t really know anything about how or why they had opened up their homes to strangers like me. Obviously to make money, but my knowledge didn’t go much deeper than that. My interest in people and places got a bit more serious when Tribe came into my life, just before I started seriously thinking about travel. If you haven’t seen it, Tribe is a TV documentary series where presenter Bruce Parry goes to live with indigenous tribes, for around a month or so. Living exactly as they live, not trying to change anything or judging, he simply goes to learn and gain insight into their cultures. The tribes he visits are usually quite remote, but who have had some contact with the outside world. 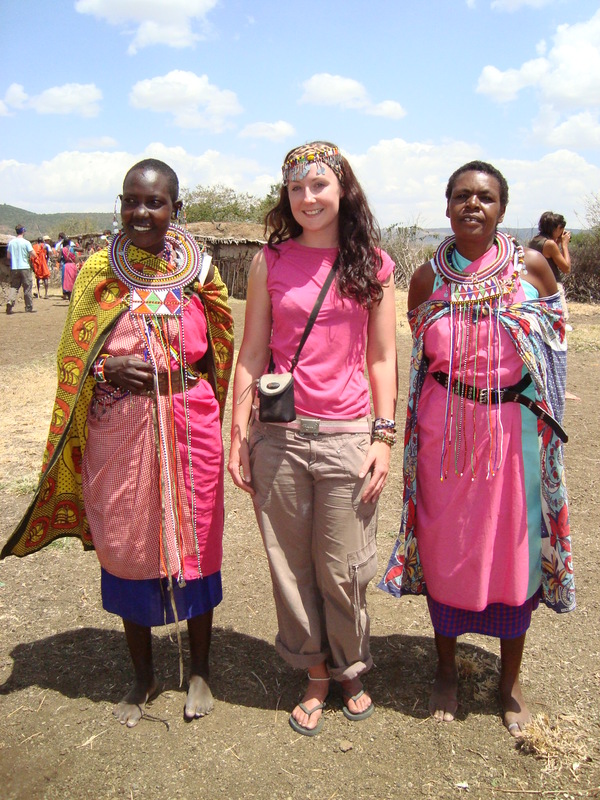 Tribal visits are common on the tourist trail now, both in Africa and elsewhere and are ‘activities’ offered by many hotels and tour operators. Recently I was reading an article about the real cost of travel and I got to thinking about why and how people do this and I think, it all comes back to the fact that as human beings, we are curious by nature. For me, visiting a tribal community is always an interesting and mostly humbling experience. To meet people, to learn is the main reason I travel. But there are a few things I wish I’d known before I went travelling. There’s a debate as to whether tribal visits are ethical or exploitative and how tribal cultures are suffering due to western influences. I’ve heard the words, ‘human safari’ used. Now I’m not talking about visits to tribes that have little or no contact with the outside world, because that brings about a whole different set of issues, too numerous to go into here. I’m talking about tribes that have invited tourists into their villages, like the Maasai in Kenya/Tanzania or the Himba in Nambia. I’ve been on tribal visits set up by a tour company I’ve been travelling with, but I’ve also spent some time with tribal people that I’ve happened to meet randomly, like Kisogo, a Maasai Warrior I met in a bar in Zanzibar, with whom I spent a lovely afternoon playing pool, having a few beers and hanging out on the beach. Then there was the time I visited a small family group of the Mang’ati tribe, a pastoral people who I met through a friend who runs an NGO in Tanzania. This was not a paid or tourist trip. We were simply invited round. The matriarch of the village dressed up in her finest – her wedding dress. Regardless of the context of the visit, I’ve always found the tribes that I have visited to be mostly welcoming of strangers. Himba women were intrigued by the fact that I was 29 and had no children, Maasai women laughed as I tried on their jewellery and Maasai men were impressed with my jumping abilities. I enjoyed my visits immensely, and hopefully the people I met did too – perhaps I made them laugh! But the thing that struck me most, is that whilst every tribe is very different, they are often facing very similar issues. 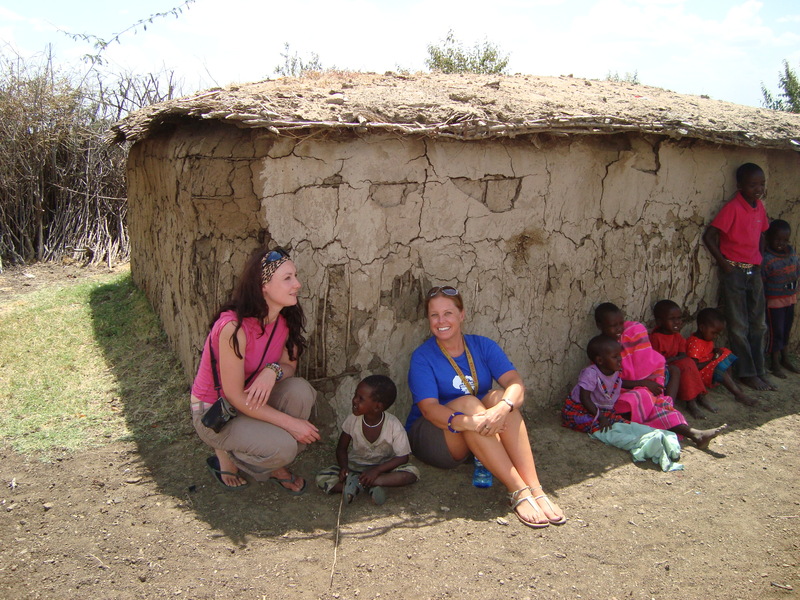 One afternoon, I went on a trip to a Maasai village in Kenya. 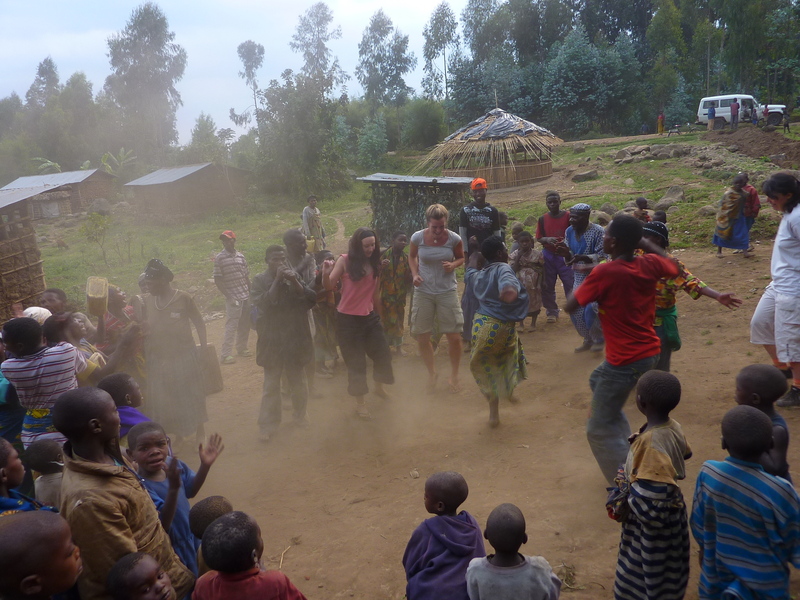 Upon arrival, the men and women sang and performed dances for us before we entered the village. Children giggled shyly, egging each other on to hold our hands. We were given a tour of the village, shown how they maintained their homes, how they build fires using sticks and kindling – the traditional ways of the Maasai. All the while, others members of the tribe went about their business, throwing a welcoming smile or a raised eyebrow greeting as I passed. At one point, myself and my friend Kristy joined a group of children sheltering from the midday sun. 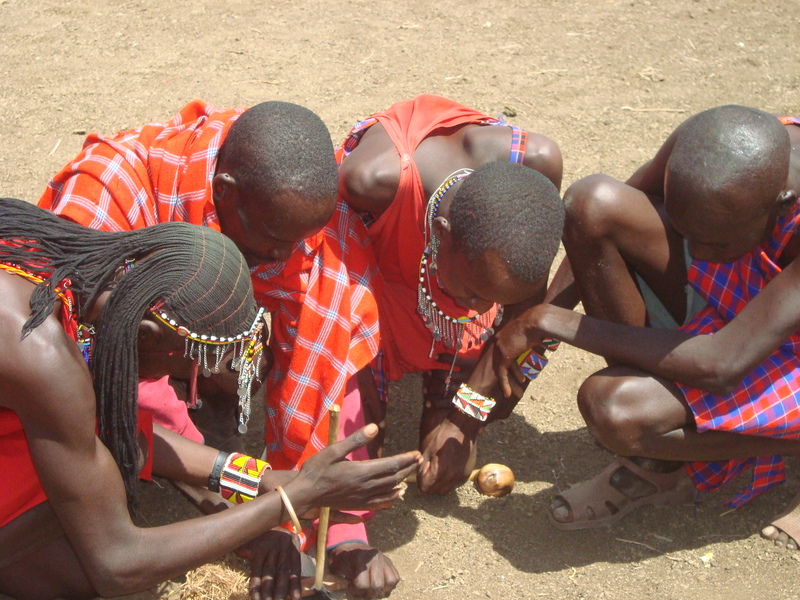 They may have showed us how they traditionally lived, but in reality the Maasai are becoming part of the modern world. They have mobile phones and if I’d have wanted to top up my credit in the village, I could have done so. And the traditional fire building methods…did they do that all the time? I doubt it. They probably use matches. The traditional dances they performed for us, at one time would have been saved for special occasions. Now they are performed for money. 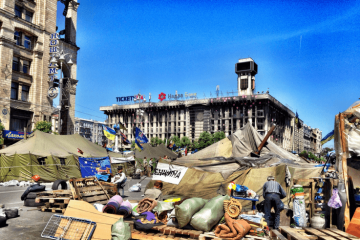 Is it tourism ruining cultures? Or preserving them? A semi-nomadic people, the Maasai have endured the harshest of conditions. But the outside world is encroaching in on them. More and more land is now privately owned and indigenous people become displaced for tourism (game reserves and hotels) or to make way to build roads and for other reasons. So tourism is having a dramatic effect on Maasai culture. Being semi-nomadic, they are not farmers by tradition. 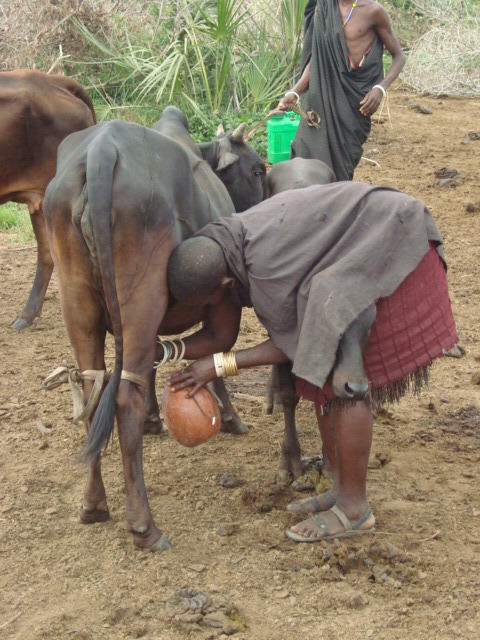 Maasai diets consisted of raw meat, raw milk, cattle blood and occasionally fruits or vegetables. But today, more and more of their traditional land is becoming privately owned and they are forced to become more permanent rather than nomadic and their cattle, goats and sheep don’t have the space they need to graze. Disease amongst the livestock has also been an issue. Maasai diets have changed over the years and their staples are maize porridge (ugali) and milk, with more vegetables in the diet. Trading cattle is no longer a relevant currency and many Maasai don’t know how to manage livestock for making money, only using them as a sign of wealth. Opening the village for tourism allow tribes people to generate vital income that can pay for food, life-saving medicines and education. As Western culture spreads more into traditional African cultures, along with the bad comes the good. I think it’s important to keep traditional cultures alive, but there are certain practices that I would not be so sad to see go. Not that I’m in any position to judge what another culture does, but without outside influences and education, dangerous practices such as Female Circumcision (FGM) will never be phased out. This is illegal in both Kenya and Tanazani, but is still widely practiced. Lack of education also leaves people more vulnerable to being taken advantage of, however education is becoming more widespread in Maasai culture. There are even Maasai in government in Kenya, which can only be good for the tribe, to give them a voice that they might not have otherwise. What’s the alternative to tribal visits? Tribal people are facing a tougher time than ever before but years of practice have made them resourceful and they are finding new ways to survive. Some Maasai have started farming and now grow tea and other crops, but droughts and unpredictable weather are common and make this difficult. In other areas farming is impossible due to the wildlife. 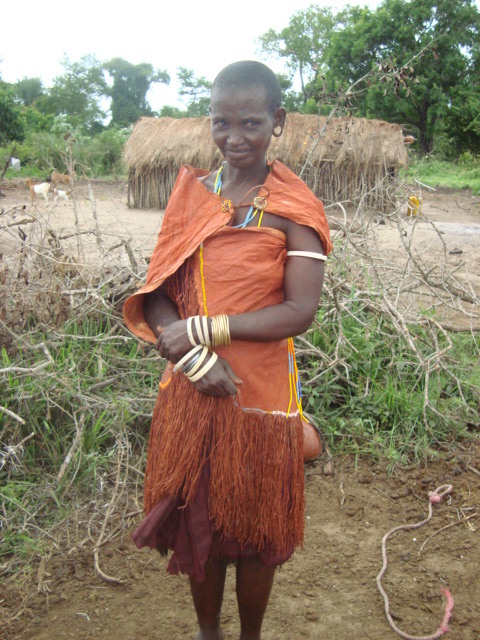 Without ways to sustain themselves in the villages, many tribes people are forced to move to towns and cities. A lot of the men work as security guards, but this takes them away from their families and others struggle with lack of education and social skills to survive in the city. Opening the village to tourism is often the better option. It’s a sad but true that many tribal communities now depend on tourism. Yet it’s tourism and development that has created the most problems. This is echoed around the globe. It may not be ideal, but perhaps in some ways, tourism is helping to preserve traditional cultures, by allowing people to earn money when they might not otherwise be able to do so. And one thing to remember, is that the people have not been forced against their will to open their villages to tourists. 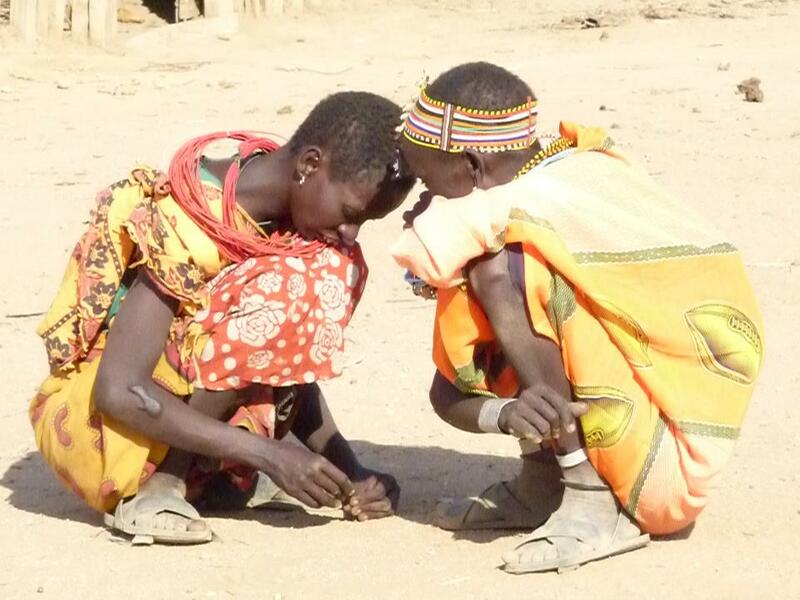 Some women of the Samburu tribe have opened up their own co-operative and invite tourists in. This allows them independence. Educated or not, they are quite capable of making their own decisions about their future, but it’s always better to make informed decisions. But I don’t think the general influence of western society on these tribes is the dangerous part. There was one occasion when I visited a tribe and things did not go so well. A few of us had organised a trip to go to a Twa village in Rwanda. A driver picked us up in a jeep and drove us into the countryside outside of Ruhengeri, on the same day we’d been gorilla trekking. We were shown around the village, we danced, we made music, I used all my strength to fight my maternal instincts when I saw small children literally playing with fire, we pulled silly faces with the kids… We were made to feel extremely welcome and it was a lot of fun. But as we were leaving, an argument broke out between the villagers and our driver. They were angry about something but we didn’t know what as we couldn’t understand what they were saying. Our driver got in the car and we drove off. It wasn’t until later and I’d spent more time in Africa that I figured out why. I can’t prove it, but I’m pretty sure the argument was over money. Had the driver ripped them off? Probably. I’ve since found out that it is common for this to happen. The problem is not just tourism or development, the problem is exploitation from all angles. If the tour operators keep a large cut of the money, villagers end up putting pressure on tourists to buy souvenirs at ridiculous prices to make money rather than doing a good tour of the village, which is now putting tourists off visiting. It’s a vicious circle. In Namibia, it’s common for tour companies to visit the Himba. But you should be aware, that most of those tour companies visit villages where the land they live on is not owned by them, usually part of a farm, but they are allowed to live on it for free. Some of the money may be given to the Himba but the majority won’t. I’m not saying don’t go. Just be aware that’s what happens. If you want to visit the Himba independently, I’d suggest going to Opuwo in northern Nambia. 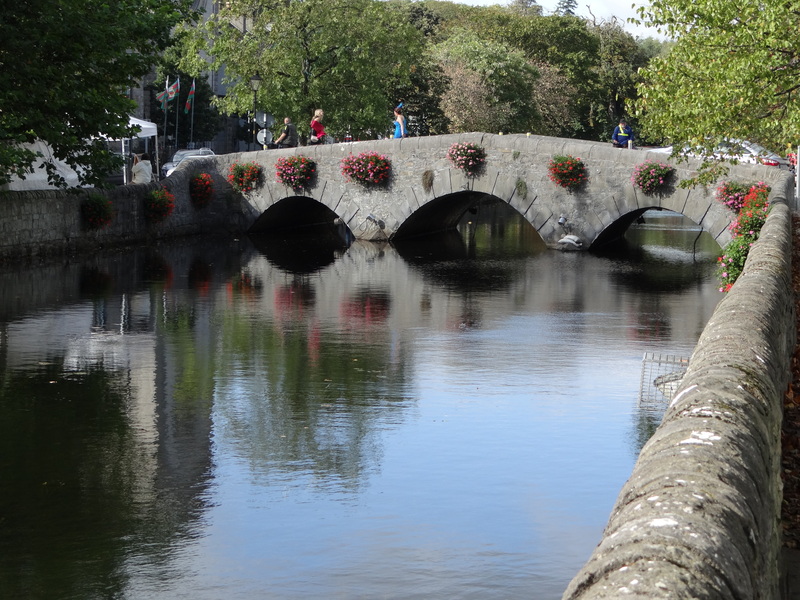 It’s a bit of the tourist trail which is why the tour companies stick to elsewhere. But in Opuwo, the Himba own their own land, and you can arrange a tour direct with them, so you can be sure they receive all the money that you pay. At Mara Explorers Camp in Kenya, a trip to a Maasai Village costs around 500KSH ($6), compared to other places that charge $20. So the tour operator will be taking a big cut (minus transport costs). Tribal visits provide vital income to help tribal people survive in today’s world. When you’re planning a visit, the most important thing is to ensure that the people you are visiting are treated fairly and that you do not contribute to the exploitation of vulnerable people. 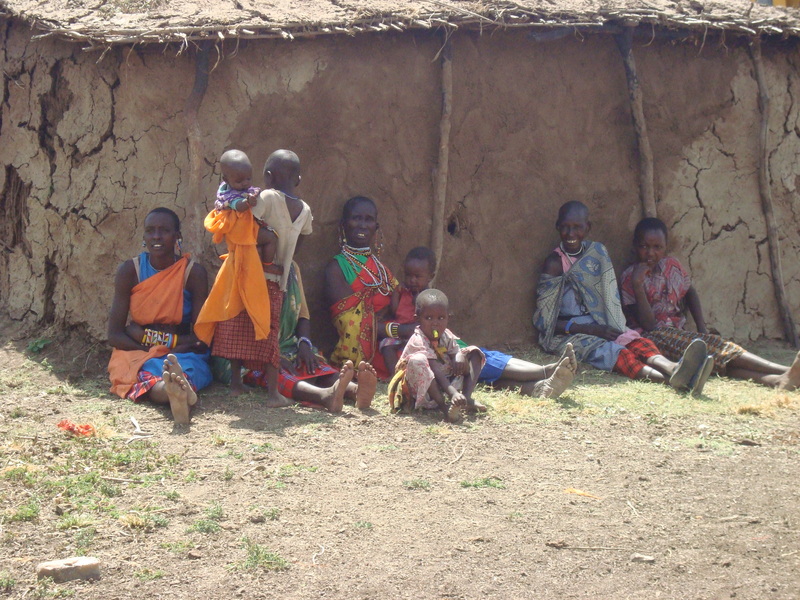 Ensure that you are visiting a tribe that is happy to have tourists in their village. Go with the mindset that this is a mutual learning experience. Ask questions, share things with them. If you are travelling with a tour company, ask the company you are travelling with where the money goes. How much of the money is going to the village? Choose a company that works with and supports the village and does not exploit them. If you are organising your own trip with a driver, negotiate a separate price with the driver for his part and give your money directly to the village chief. Ask if you can take photographs. Most people who open their village to tourists will be more than happy to let you take photograph, they are proud of their culture, but it’s always nice to be asked. Read up on the tribe you are visiting and be aware of any culturally sensitive issues. Be respectful – you’re in someone else’s home. This is a list of companies that I can personally recommend for their ethical tours, who either I or a friend have travelled with. I will continue to add to this. If you know of any great companies that support indigenous people through tribal visits and other projects, please let me know in the comments below. Mara Explorers Camp – Run by Moses and his wife Laura, Mara Explorers Camp supports the Ole Keene Maasai village which is right next door and also work on a number of other initiatives in the Masai Mara. 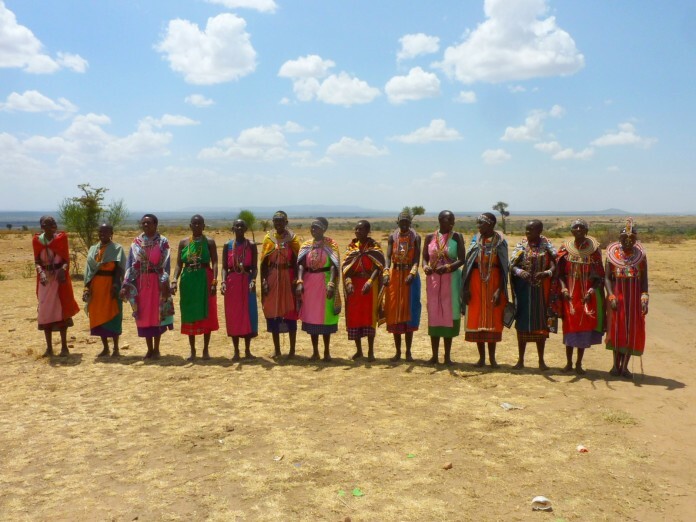 Umoja/Unity Women’s Village – Run by women of the Samburu tribe, Umoja Village is a women’s refuge and co-operative. They offer tours of their village and you can book directly through them. 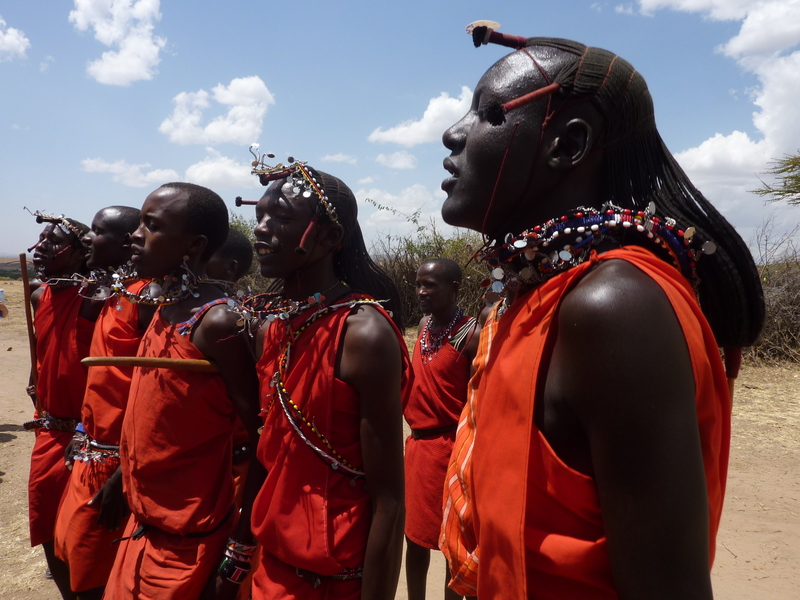 Maji Moto Maasai Cultural Camp – A Maasai run camp and social enterprise. Arrange a tour direct with a Himba village in Opuwo. You will be able to arrange this when you arrive. 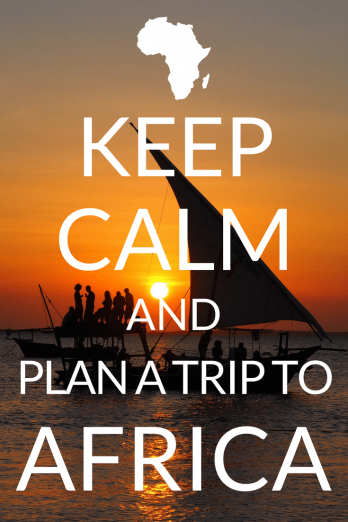 Want to go on an Epic African Adventure? Want to go somewhere amazing with an awesome group of likeminded travellers?? 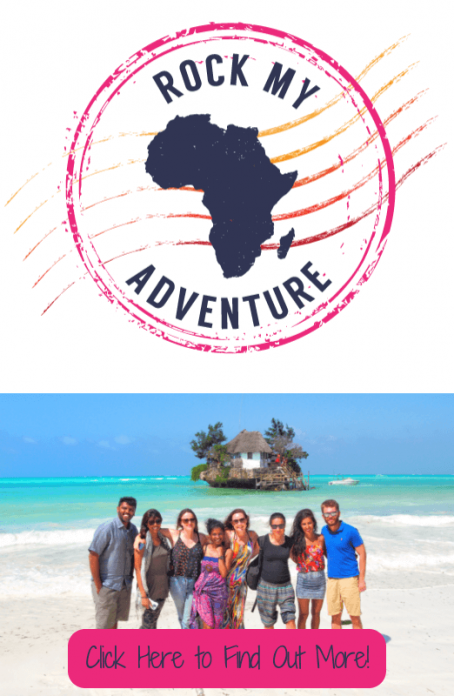 Then join one of my 2018 Rock My Adventure small group tours to Kenya, Tanzania & Zanzibar, Uganda, Rwanda & the DRC, Zambia & Malawi and Morocco! More destinations coming soon! Rock My Adventure tours are experiential and culturally immersive adventures, but without the hassle of having to find accommodation, working out how to get from A to B and booking all your own activities. They are laid-back and fun, kind of like an independent backpacking trip (with the occasional bit of luxury) and a group of friends built in – the best of both worlds! To find your perfect Rock My Adventure tour, click here! If you can’t make it this time and would like to be the first to know of any future tours, you can sign up to the mailing HERE! I'm a travel blogger and tour operator with a passion for Africa travel. I love the great outdoors, going on epic trips around the world and helping others travel! This is a hard topic, and I think you covered it nicely. I wonder sometimes if these people ever feel like they’re selling their dignity. I mean, it’s one thing to share your culture with others, but quite another to sell it as if it were a circus act, and there’s a fine line there somewhere. I can’t help thinking of Omo valley where, apparently, the local tribes-people have taken to asking for money in exchange for photographs. I think the most important thing, as ever, is to be careful where your money is spent and show basic respect. Which is, of course, pretty much what you said. Thanks Rebecca. It’s a difficult topic to write about as it isn’t a clear cut and there will be some people within each trbe that resent having to open the village to tourists. But like I say, sometimes it’s a better alternative… for now anyway. Who knows what the future will bring. The world is changing, tribal people are changing with it. Every tribal person that I’ve met on my travels (and I’ve haven’t been everywhere… yet) has been very proud to show me their culture. But visiting a Maasai village is very different from say visiting the Jarawa Tribe on the Andaman Islands, who have been subjected to quite horrendous treatment from people using them as a human safari which is quite frankly disgusting! I’ve been stopped in the street in Africa and Asia by people who’ve asked me to take their photo and then they demand money afterwards. But, I don’t blame them really. Yeah, it just has to be handled carefully. I just can’t help thinking there are other tourists and other tour operators who are less respectful, but you can’t really control those people and like you said, the world is changing. It’s a little sad to see the traditional cultures disappearing, especially when a lot of problems in Africa are caused by the interference of the West, but it’s the way the world’s always been. Cultures mingle and learn from each other and change, and it’s how innovations are spread. Still it’s happening quite fast in these days of technology. The cultures probably won’t disappear completely, just adapt to the modern world, with some things carried on. Bah I don’t really know what I’m rambling on about. I hope that makes some sense; I just woke up. Makes perfect sense Rebecca. As they say, change is the only constant in life. Thanks Helen. You’ve given us a lot to think about! Thanks Lance! Hope this has been helpful!! Very interesting and thought-provoking article. I was discussing a future trip to East and Central Africa with a friend of mine from Senegal and she was quite shocked when I suggested visiting the Maassai tribe in Kenya. She is 100% African and is against this “human tourism” that is taking place in some parts of the continent and yet, we all agree that if it wasn’t for tourism, the tribes would be extremely poor. And while it is a noble quest to ensure the cultural integrity of the tribes, it is very elitist for us to say that “they shouldn’t use iphones! They’re loosing their cultural identity”, I wouldn’t be surprised if the Maassai started wearing denims and cowboy boots in some 20 years and we all need to understand that they are absolutely free to do so, it is their right. Hey Raphael! I totally agree. I’ve spoken at length to friends, both African and non African about this. It’s a really difficult subject and I don’t think there will ever be one answer. I love to spend time with tribes people as I find it interesting to learn about other cultures. But in the same way, I’ve visited lots of villages that aren’t specific ‘tribal visits’ and they are just as interesting. Either when I’ve been working in the village or town etc. But I’d be just as interested whether they’re from Africa, Asia, South America, North America, Europe… any culture really! I think it’s natural to be curious. Whenever I’ve visited a village, it’s always been a two way process. But I think if the tribe are happy for you to visit and spend time with them and they are treated fairly by whoever has arranged the visit and with respect that it’s ok to go. That’s just my opinion. But if the tribe do not want visitors then people shouldn’t go. And although we had a few true great exchanges with some of the women, especially about the very long hair of one of the tour member, the experience was too played… the women were all in traditional clothes while the men were walking around in modern sport clothes… I kept reminding myself that at least the money was going to help them maintain the orphanage (I am still hoping that part was true). Hey Claire. It depends where you went really. A lot of tour companies stop at villages that are on land owned by farmers. The Himba are allowed to live on the land for free, but they see little of the money, although the owners do say they help them out with medical treatments etc… who knows? These villages are still real villages, but they don’t have as much control. The best place to visit the Himba is in Opuwo in the north, as there are lots of villages there and they own their own land etc. This may have been where you went? There’s an orphan village there. What company did you go with? Many men have adopted more western dress… but the women I met seemed to enjoy their traditional dress. The reason there wasn’t many men about might be because they were out looking sfter the herds. Or I’ve heard rumours of problems with alcoholism amongst Himba men… but I haven’t any facts to back that up, just hear’say. This is a great article and definitely opened my eyes to a lot of things. I don’t know if the ‘costs of travelling’ article you mentioned was mine, but the one I wrote was meant to do the same thing as your post has done: bring awareness to issues that people don’t consider when they take these types of trips. I think it’s awesome that you were invited into different communities and I hope then when I visit countries in Africa, I will get the same welcoming! You’ve really given some great tips, and thanks for the resources! I think it’s important to use sustainable and ethical tour companies so it’s good have a list from someone’s personal experience. Hey Alyssa! It was your article I was reading, and you’ve just reminded me that I hadn’t linked to it! Thank you, glad you got something out of it. It’s such a tricky subject to write about, but people need to be aware of it. I wasn’t when I went the first time. You have handled this topic really well. When we went to see the long necked women, the Karen in Thailand I felt much the same as you. It is very much a catch 22 situation. I think your points to consider are well said. As you have said, and I agree – a tricky situation. Thank you! It took me a while to write, trying to put across the the point in the right way, especially as a non African. Issues like these crop up wherever there are tribal people, some people are hit much harder than the Maasai also. I didn’t go to visit the Karen people, but I’d heard similar things to this. I don’t know what the ‘solution’ is, and it’s difficult to control if you’re on a tour, but I guess the best thing is to make informed decisions and hopefully the corruption will stop over time! It was beautiful. Liked it. Luck. I just finished reading your guest blog from Nomadic Matt’s site. I was hungry for more so I came here to read your other stories. 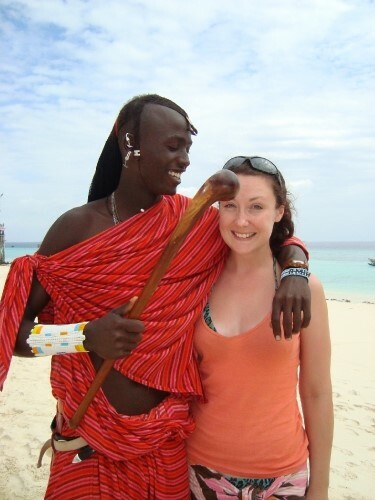 It’s great to see that you’ve visited some authentic Maasai villages. I like the thoughtfulness of your writing. Yes, choosing an ethical company is very important, as indigenous people are often exploited. I would like to add that village chiefs can also be deceptive at times as they tend to speak a few words of English so they might take advantage of villagers who don’t. If you can, giving some money directly to the village mamas would help. You’d have to be tactful about this, of course. 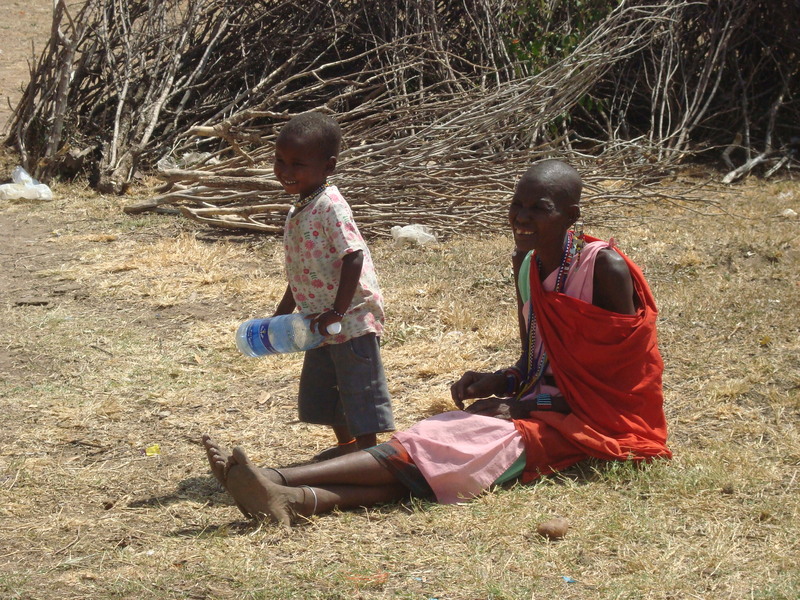 Also, I’d recommend not to give money or gifts to the Maasai children you see along the way on safari. There’s a tendency of them rushing to tourists and begging for money instead of going to school. I think cultural exchange can be wonderful, you just need to be sensitive about it. Thanks Mzuri, that’s so lovely of you to say!! Yes, you’re right! It’ really difficult to make sure that people benefit equally from the visits and completely agree, never give the kids any money. It’s really difficult to see the kids begging, but people need to not do it! I think this sums up your article pretty well. This tourism is a result of the ever-increasing globalization we are living through right now. It’s not necessarily a good thing, not necessarily a bad thing. It’s not something that can be stopped, really. But it is good to be aware of some of the problems that can arise. This post definitely hoped to alleviate some ideas I had about exploitation and such. I will definitely look into doing something similar to what you did because it seems that you mostly had great experiences and I’m sure you learned some valuable things! Thanks so much Matt! So true, change and globalization are just inevitable, so I guess it’s just about how we deal with them responsibly. It’s really difficult to know exactly when the people are being exploited or not, especially as a tourist. Even when you live and work there, it’s still difficult. As Mzuri says above, even within the village people can be exlpoited too! Hope you get to go and visit too and thanks for listening to my advice! Give me a shout if you need any more info. I’ll be back in East Africa towards the end of the year so hoping to do a bit more research into companies then as well. Well said, Matt! Changes are inevitable. Nowadays it’s mobile phones and internet. Back in the 60s, it’s the red shukas. The Maasai were still wearing hides until the Chinese brought over the red fabric. Environment changes. Culture and lifestyles change. It’s an inevitable part of human evolution. 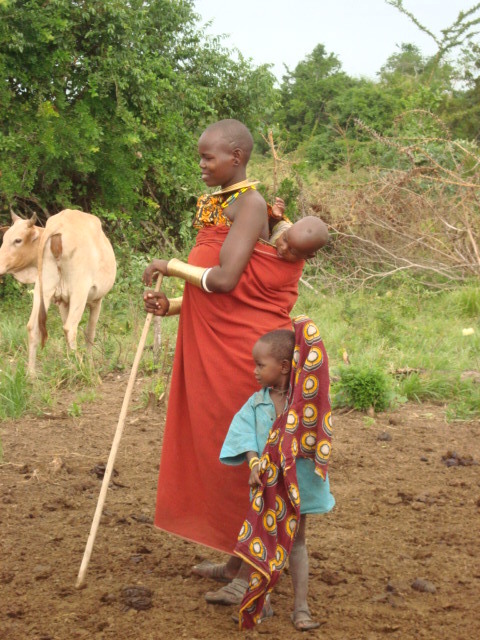 The savannah the Maasai depend on to raise their cattle is disappearing. Every year, more and more grassland turns into desert. 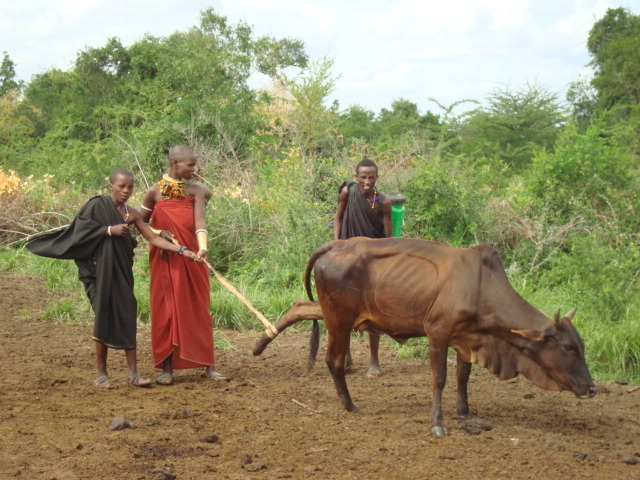 It is no longer possible for all Maasai to live as subsistence pastoralists like they used to. “It’s not necessarily a good thing, not necessarily a bad thing. It’s not something that can be stopped, really.” C’est la vie! these villagers have a simple lifestyle, but we see that they are happy. I think having a simple life is the key to happiness! Fascinating and insightful post, thanks! Your photos exude so much happiness! I would love to go on a tribal visit. Following you on Twitter so hopefully connect there sometime! Thanks Selina! I’d recommend people to visit a tribe! Just make sure that the tribe are happy and reaping the benefits from it, and not being exploited and then it’s win win for everyone. Many tribes are really happy to show you around. I have been lucky to see lots of villages when I worked in Africa, as I was visiting remote schools. They weren’t tribal visits as such, more of an informal tour. Hope you get to go soon! Google account. I look forward to new updates and will talk about this site with my Facebook group. I’m extremely interested in visiting and exploring Africa. I have never been out of the box USA and at the age of 50 I have an insatiable desire to see the world! And, your insight here has presented an amazingly optimistic view. I’m also curious of what an experienced traveler does to navigate a cost sensitive tour-in that I am a novice and more accurately a dreamer. Lol Thanks for the inspiration. Hey Terry, thanks for your message! I love that you are wanting to explore the world! Go you!!! The world is an amazing place and I love exploring it! If you arrange things locally, it’s pretty easy to get things at a good price! If you are thinking of going on a trip and want some help, just give me a shout! I was on this trip! All of these tribes are my family. Beautiful photos! Thank you for posting this, I had a question for you, do you think that instead of giving the chief money, it would be accepted if we brought raw meat for the tribe? Hi Marlena, to be honest, I’m not sure. I guess it would depend on what tribe you were visiting…. What meat would you bring? Where would you be bringing the meat from? Would you be bringing enough for the whole tribe? If you are going to visit a particular tribe, I’d ask the people arranging the visit for you. Great read, thanks Helen. I came across this when I was researching a visit to a Himba tribe. I have visited with tribal and indigenous people in other parts of the world, like you both organised and not and share your views on this subject. I get really cross with people taking pictures without asking, but try to politely remind them of how they might feel if this was reversed! Will head out to try to organise a visit independently! All important vital things to think about. Personally I hate being part of a tour group and would rather go solo. I have found this to be the best way to have authentic contact, learn about cultures yet the feeling is less one of exploitation and rather just one of sharing a common bond between people. 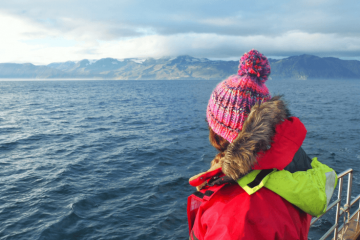 Thanks for a great post you certainly covered the issues that need to be thought of as conscious travelers. Thanks Peta! It’s really hard with a tribe and doing ‘authentic’ organised tours is very difficult! Thank you for reading and glad you liked the post. ps. Just seen your Sri Lanka posts! I am heading there in May so will pick up some tips! In Ethiopia, we ventured out and visited the Mursi and Hamer Tribes in the Omo Valley. This was incredibly rewarding, interesting and something we still contemplate to this day. For the adventurous who are interested in culture in Africa, this is an experience you absolutely should not miss. Wow, I would absolutely love to do that! I saw the Bruce Parry Tribe documentary where he visited the tribes in the Omo Valley and it was one of the things that inspired me to travel to Africa in the first place! I look forward to reading about your experiences! Ethiopia is definitely on my list to visit soon! Thanks for the amazing post, Helen. I stumbled upon this looking for info on visiting African tribes, and it was interesting to note you’re from Liverpool as well (same as me)! Enjoyed reading all your stories and assimilating all the valuable information on the blog. Keep up the great work! Jambo dada! You made an excellent overview of the whole matter. I just wanted to congratulate you on that. Asante! 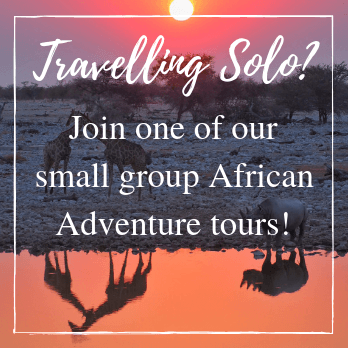 I’m an Africa-loving Travel Blogger, Adventurer and Tour Leader! My aim is to help and encourage others to travel to my favourite continent. 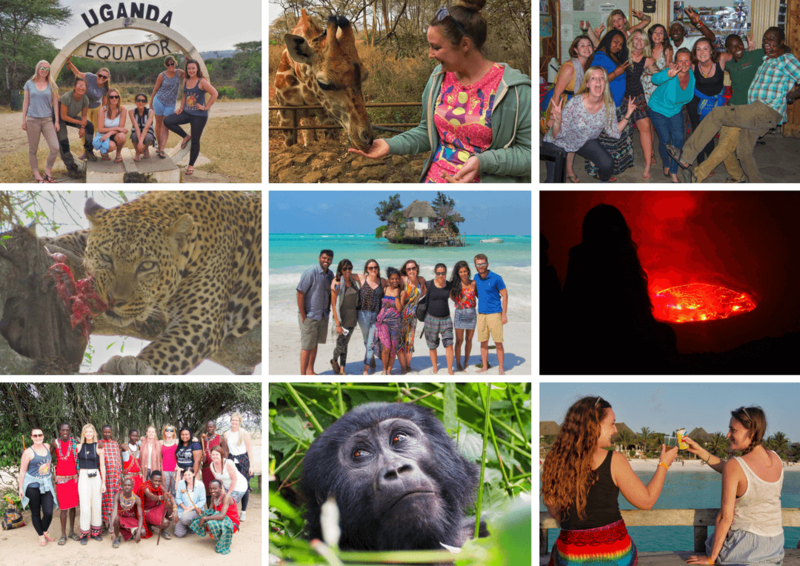 When I’m not writing on my blog or discovering new destinations, you’ll find me leading tours through Africa. Read more on my About page! Sign up to the Helen in Wonderlust Newsletter! Join 30,000 + Monthly Readers! Helen in Wonderlust is a participant in the Amazon Services LLC Associates Program, an affiliate advertising program designed to provide a means for sites to earn advertising fees by advertising and linking to Amazon.com and affiliated sites. Travel Africa With Me on Instagram!